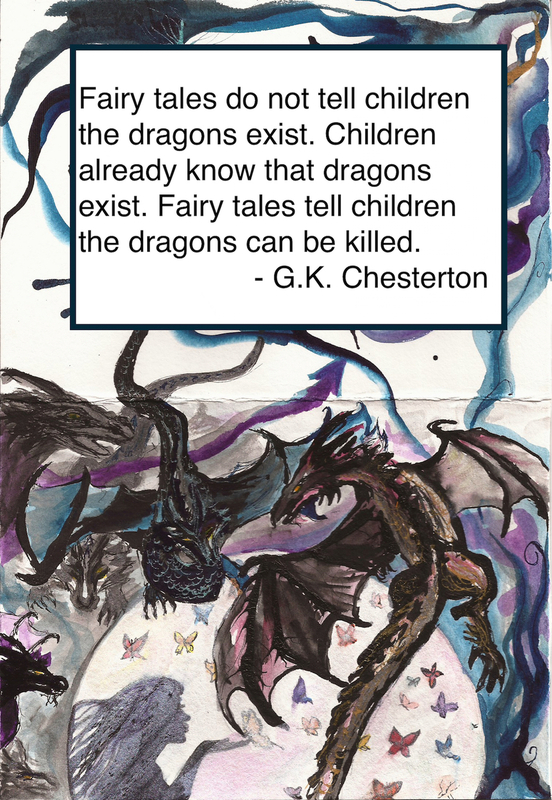 I painted the card for my niece and then found the quote in the front of the book The Story of Owen, Dragon Slayer of Trondheim, by E.K. Johnston. I loved the book — the world building and characters are unique. You should definitely get it from your library or nearest bookstore and read it. The sequel, Prairie Fire, came out and is on my pile of books to read. Can’t wait! This entry was posted in Art, Writing by Sarah McElrath. Bookmark the permalink.